The lavish 4am brekkers service yesterday was surprising but welcome, even if a little on the early side, and Haas was still in his boudoir enjoying his early morning nap. Still, we demolish kale at any time of day, so in we tucked. By 10am we became suspicious that the post brekkers snack was not forthcoming. By 11am we became annoyed that our elevenses were not forthcoming. By 1pm we became impatient about lunch, which did not arrive. By 3pm something was obviously not right about our day when our mid-afternoon snack was, you guessed it, not delivered. By 6pm we had missed our early supper and had to make do with a hay block, some Fibafirst hay sticks, a hay cake and loose timothy hay in the meantime. By 8pm our customary pellet meal with a side of veg had not arrived and we were frankly irate. At 11.30pm our waitress finally arrived bearing kale, carrots, celery sticks and a bag of pellets and she smelled of plane. We knew it: she does this thing where she goes into the EU and back in a day. So we went easy on her and decided any hour is Kale O’Clock. Plus, we are now more resolved than ever to stop bloody Brexit because more border nonsense than we already have being hors Schengen is clearly a direct threat to to kale distribution. Get campaigning, people! Here is a complimentary classic carrot picture by way of motivation. Holly here. I hear you on the sad tale of too early breakfast and no snack, no lunch, no merenda, and an extremely late dinner!! 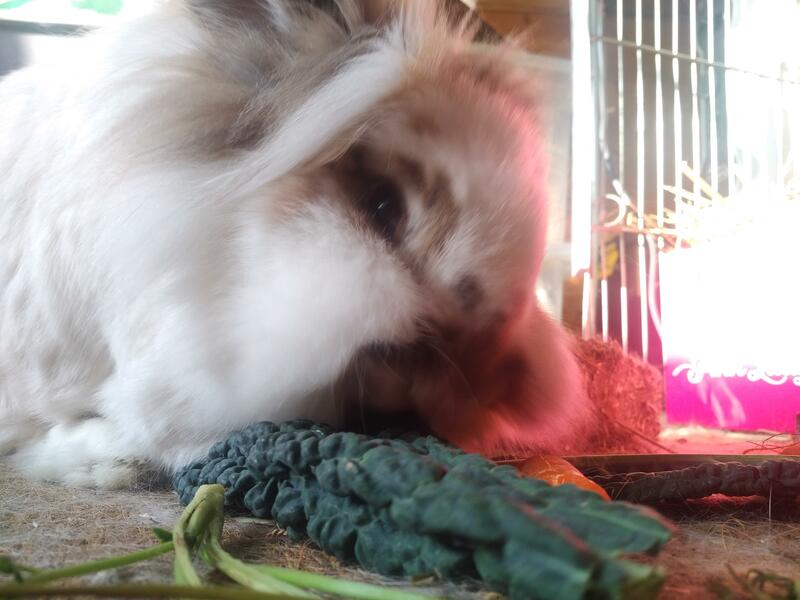 Since our first hoomin has been visiting Germany, we get on a daily basis late brekkers, no snacks/lunch/merenda, late dinners and a very late out-time. Not fair! On top of that, Elliot Lou (which I secretly like, but don’t tell Neville!) broke into the living room last week, causing Neville to get really upset (he doesn’t like EL… he’s a jealous type!). Luckily the hoomin is back now, and we are happy again. We may not get along but we have something in common: we truly disapprove of hoomins travelling and disrupting our routine!